Greg Gianforte speaks during his campaign for at the Red Lion Hotel on Friday, April 21. A secretly recorded tape in which Republican Congressional candidate Greg Gianforte says he is "thankful'' for the passage of legislation repealing the Affordable Care Act sheds light on the high stakes of Montana's special election. But how that's done could have a dramatic impact in Montana, where the percentage of people without insurance dropped from 20 in 2012 to 7.4 percent last year, according to the Commissioner of Securities and Insurance. A recent report by the Montana Budget and Policy Center predicts that 142,000 Montanans could lose insurance if the Affordable Care Act were repealed. That makes the replacement plan particularly critical here, especially with an election to select Montana's lone House member in Congress only 18 days away and with the race tight. "We're seeing numbers in the single digits with still a lot of undecided voters out there, and that's why this race is still in play,'' Sen. Steve Daines said on the tape first revealed Friday by the New York Times and verified by the Lee Montana newspapers. On Thursday, the day the House voted 217-213 to repeal the Affordable Care Act, Gianforte's campaign issued a statement to Lee Montana saying he would not have supported the bill because he needed more details about what it would do. That same day, however, Gianforte held a private conference call with conservative donors in Washington, D.C., in which he expressed support for the legislation. At a Friday editorial board meeting with the Missoulian, Gianforte was again expressing more caution. "We got into this mess with Obamacare because someone famously said we need to pass it to find out what's in it,'' Gianforte told the Missoulian. "This bill just passed yesterday, I have not been privy to the conversations in D.C. The GOP health bill would eliminate the fines Obama's law imposed on people who didn't buy coverage, and erase the tax increases in the ACA on higher-earning people and the health industry. It would cut the Medicaid program for low-income people and let states impose work requirements on Medicaid recipients. It would transform subsidies for millions buying insurance, which are now based largely on their incomes, making the funding skimpier and tying it to consumers' ages. And states could get federal waivers freeing insurers from other ACA coverage requirements. With waivers, insurers could charge people with pre-existing illnesses far higher rates than healthy customers, boost prices for older people to whatever they wish, and ignore a mandate that they cover specified services such as pregnancy care. Democrats believe Republican votes to repeal and replace the ACA will work to their political advantage, citing nationwide polls that show voters strongly support continued coverage for pre-existing conditions and other Obamacare provisions. Gianforte told the donors Thursday that he needed their financial support because the stakes were high not only in Montana, but nationally. Liberal Democrats are pouring money into the state in an effort to "stop the Trump train,'' he said. And his Democratic opponent, Rob Quist, has more than 30,000 individual donors to the Republican's 5,000. "There is no question we could win this, but we could also lose it,'' Gianforte said on the tape. Daines, who also participated in the call with donors, added that the outcome of the special election for the U.S. House could set the stage for the 2018 Senate race in Montana, in which incumbent Sen. Jon Tester, a Democrat from Big Sandy, is seeking re-election. A Gianforte victory, Daines said, "would send a strong message that Tester is a vulnerable incumbent.'' He said Republicans already are courting a popular statewide elected official to get into the race to challenge the Democrat. Holly Michels, Lee Montana state reporter, and the Associated Press contributed information for this story. WAIT A DARN MIINUTE! GG caught being duplicitous on tape?!? Saying one thing but actually thinking oe doing another? Why does this surprise anyone?!? This is the guy that say he didn't try to sue to block the river, but record clearly show he did? Who refuses to meet and hides from voters and their questions but pretends he should be representing Montana? Who pretends in his fake ads that he's a man of the people but his records show exactly that he is NOT. And now, he's pretending he cares about our health care, while privately doing what he and Daines always do or would do - backing legislation because the national party and trump demand it no matter how bad and hurtful it will be to the Montanans they PRETEND to represent. Two-faced - and just telling the right want they want to hear to get votes. Nobody should be surprised here...of course Gg will support because it will give him and his fellow billionaire class HUGE tax breaks...and he won't even think twice as to whether it helps or hurts anyone else. GG's got the only good preexisting condition...he's rich and doesn't give a darn what happens to anybody else or whether he's supporting legislation that would eject 24 million americans and lots of montana from health insurance and being able to take care of their families. The message is...it's out fault for not being filthy rich like him..
And this should tell you EVERYTHING about this campaign: "...his Democratic opponent, Rob Quist, has more than 30,000 individual donors to the Republican's 5,000." Mr Gianforte has a history of saying one thing to Montanans, another to his funders and peers. Based on both his statements and his actions, he has demonstrated he will not represent the people of Montana, but merely advance his own interests. He is the problem we complain about when we complain about D.C. If these numbers are correct: Quist: 30,000 individual donors, Gianforte: 5,000 and purportedly Gianforte is pleading for big money from, well, where the big, dark money comes from, who do you think will best represent Montana for the next year and a half? Here's the deal on health care----- it is a fact that we, in the U.S. pay $9,500 per year per person for the overall costs of health care while people in eleven other developed countries pay an average of $3,700. So, who are the big winners in America's health care system? Certainly not it's citizens. The winners are health insurers and big pharma that are gouging American citizens for a large part of the difference between $9.500 and $3,700 per person. Since health care is now a big issue that is on the front burner of our legislative process, we really should tell our congressmen to take a close look at Medicare-For-All. If we could do single-payer health care as well as other developed countries do we could save up to $1 Trillion annually. There is only one candidate in Montana's special election who would even consider this possibility, and it is NOT Gianforte. HHMMMM -- what am I missing here? Why is this surprising? 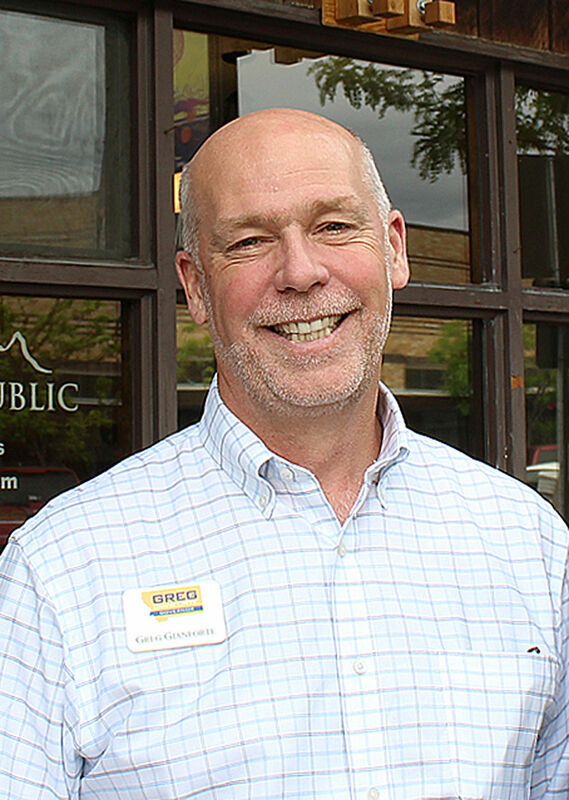 Gianforte praised a Republican piece of legislation, and he's running as a Republican. Also, Montana is a two-party consent state, meaning that it's a crime to secretly record a conversation. Journalists have a job to do, and I respect the IR's right not to reveal their source, even when the source was committing a crime. I better not read any criticism about Wikileaks in this paper, though. They've just engaged in the same practices that Assange and company have used. You have no knowledge that any crime was committed a Greg points out...and while it's not the same, but since you and your party openly supported wikileaks and the russian hacking with your president be use it benefitted you...shouldn't you be the ones not to show any hypocrisy by acting as if anything close to those techniques are now off limited when they don't help you. See how that works. Can't jump for joy and leaking and then cry about leaking without leaking hypocrisy. Loved pointing this out during the campaign as the right cheered every fake news leak out of russia: You won't be happy when the tables turn. Greg's candid statement in which he reveals that the tax reduction for those in the highest income bracket is the main reason for repealing the ACA, should show voters who he will really represent. Trump and Ryan have said that repealing "Obama care" first is necessary to pay for the tax "reform ha-ha" package. Does that help you?